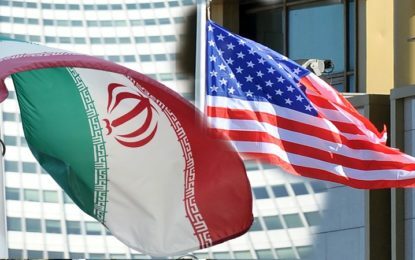 Iran has greeted the reimposition of US sanctions with air defence drills and an acknowledgement from the president, Hassan Rouhani, that the country faces a “war situation”, raising tensions in the Middle East. 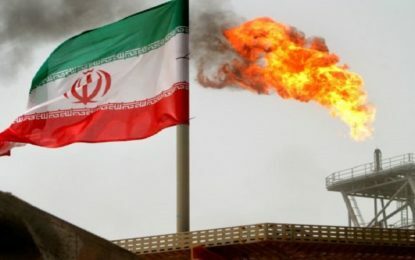 The sanctions bring to an end all the economic benefits the US granted Tehran for its 2015 nuclear deal with world powers, though Iran for now continues to abide by the accord under which it limited its enrichment of uranium. But Iranian officials in recent months have made a point to say that could resume at any time faster than before. The new sanctions will particularly hurt Iran’s oil industry, a crucial source of money for its anaemic economy. Its national currency, the rial, has plummeted over the last year, sending prices for everything from mobile phones to medicine skyrocketing. “Today, Iran is able to sell its oil and it will sell,” Rouhani said on Monday as the sanctions kicked in. Iranian state television aired footage of air defence systems and anti-aircraft batteries in military manoeuvres across a vast stretch of the country’s north. The drill was to continue through Tuesday. Gen Habibillah Sayyari said both the national army and the country’s paramilitary Revolutionary Guard’s were taking part in the exercise. Rouhani pledged to government officials in comments aired on state TV that Iran would overcome the sanctions. Iran is already in the grip of an economic crisis. The rial now trades at 145,000 to $1, compared with 40,500 to $1 a year ago. The economic chaos prompted mass anti-government protests at the end of last year that resulted in nearly 5,000 reported arrests and at least 25 people being killed. Sporadic demonstrations still continue. The US says the sanctions are not aimed at toppling the government, but at persuading it to radically change its policies, including its support for regional militant groups and its development of long-range ballistic missiles. But Donald Trump’s personal lawyer, Rudy Giuliani, and John Bolton, the president’s national security adviser, have both made public statements supporting overthrowing Iran’s theocratic government. The EU’s economic affairs commissioner spoke out against the resumption of sanctions on Monday. “The European Union does not approve of it,” Pierre Moscovici told franceinfo radio. Iranian foreign ministry spokesman Bahram Qasemi said Tehran was “in regular contact with other signatories of the nuclear deal” but that “setting up [a] mechanism to continue trade with the European Union will take time”. 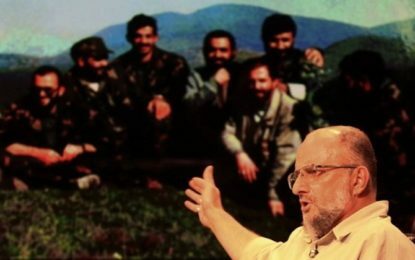 Apr 12, 2019 Comments Off on How will the revolutionary guard’s ‘terrorist’ designation affect Iran?